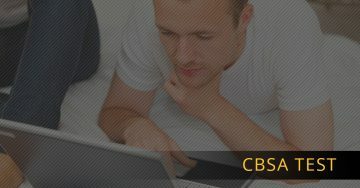 CBSA Test | Test Ready Inc. If you are interested in becoming a Canada Border Services Agent, you need the right information to prepare you for the test and for the job that will come after you pass it. At Test Ready Pro, we have everything you need to make sure you pass your CBSA test with flying colors so that you can begin your dream career. From learning what the basic requirements are to making sure you are ready to answer every single one of the standardized test questions, we have you covered. Get all the information you need to know in our blog posts below.